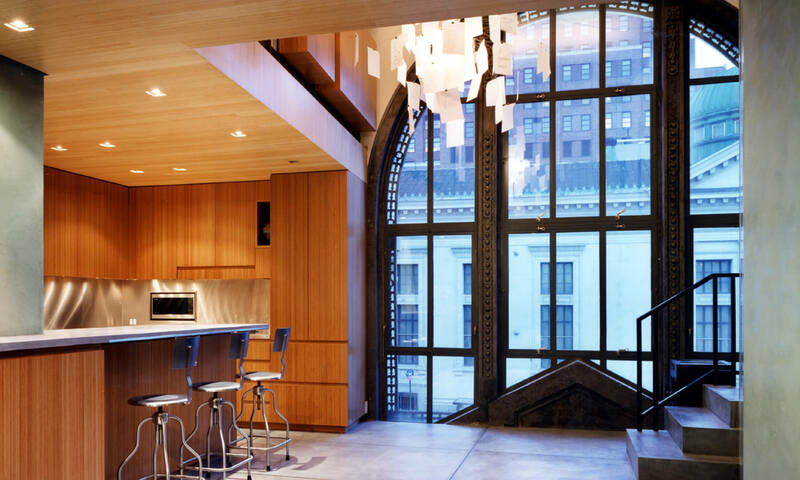 Located in a former bank building, the centerpiece of this duplex is the original double-height, arched steel windows. 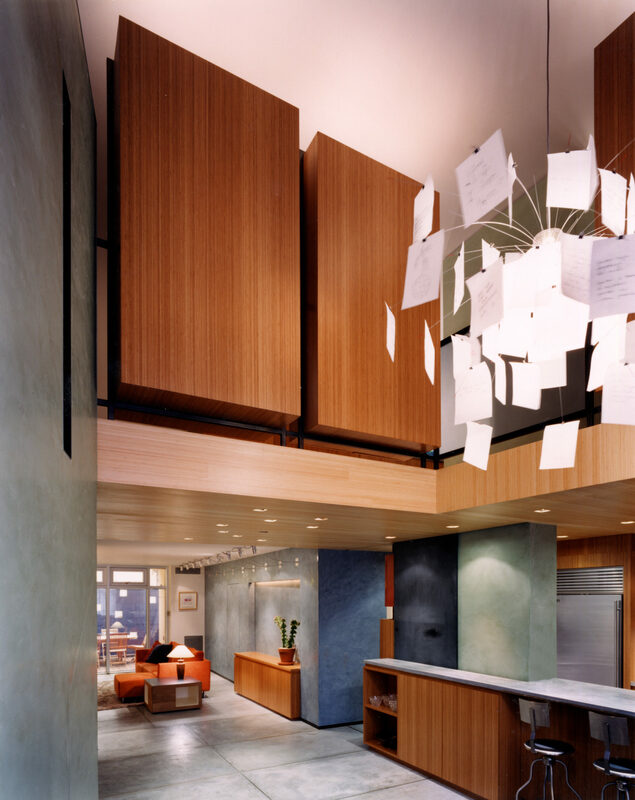 We used custom-designed cabinetry to create private areas while maintaining a sense of openness. 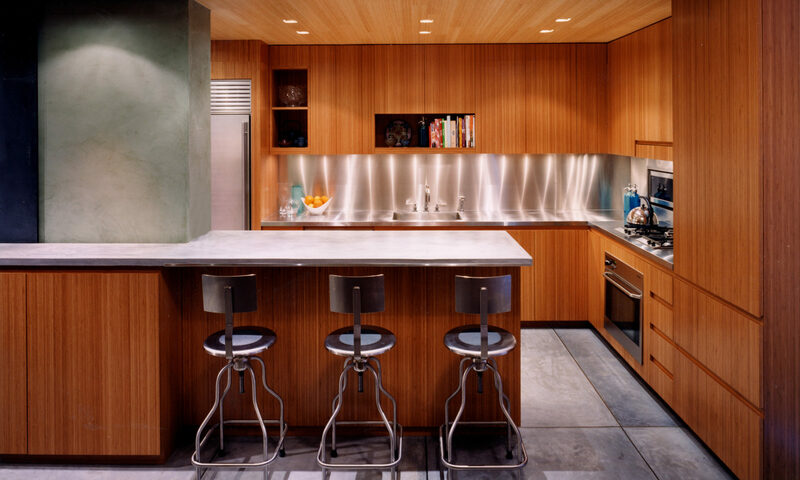 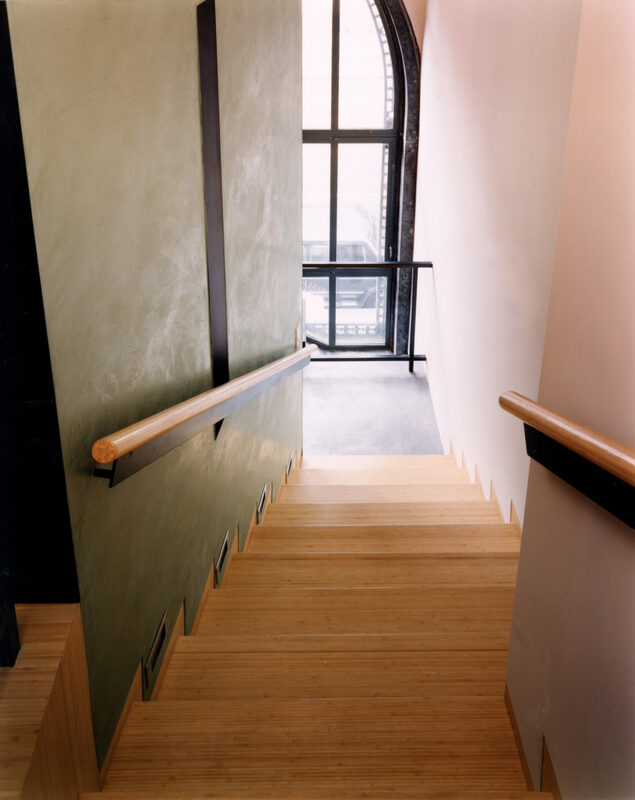 Materials include concrete floors and custom bamboo ceilings and cabinets.